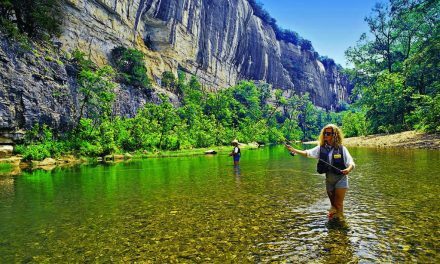 Have you ever thrown out the hook and looked around to see that you were 50 yards downstream from the place you thought you anchored? You’re not fishing where you wanted to. No big deal, you think, but the incorrect employment of an anchor can have you in the drink quicker than a flea can hop out of danger. Here is how to anchor a jet boat or a drift boat to make sure a fishing trip doesn’t turn into an impromptu dunking. “Anchoring in fast water is one of the most dangerous things we do in the guiding industry.” Ed Iman, a longtime walleye guide and sturgeon fisherman takes anchoring seriously in his home water near Hood River and The Dalles in Oregon. “The bottom constantly changes. You’ve got mud and hard rock and gravel. You want a rocking chair anchor with a breakaway system. If it gets hung up, the breakaway breaks and you can pull the anchor out backward. 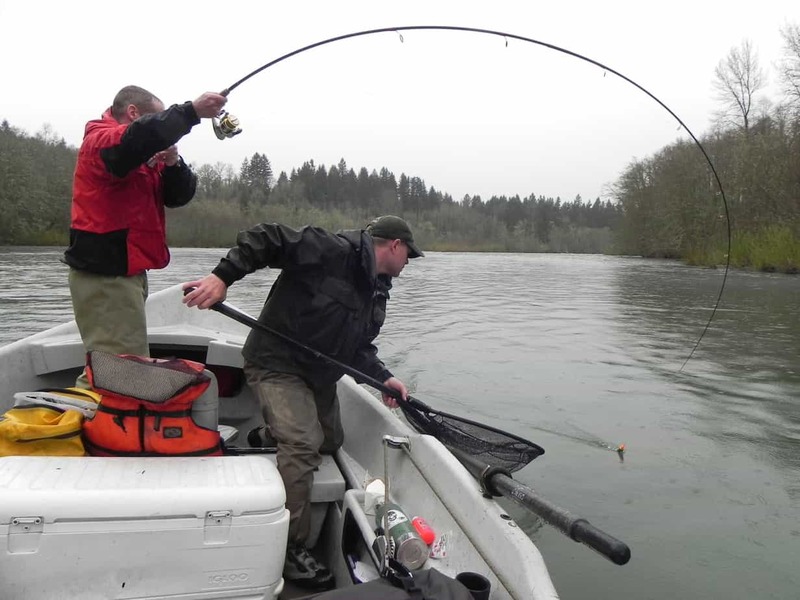 In a clay bottom you can’t anchor at all, you just can’t get a bite.” To get better hookups in big rivers like the Columbia or the Sacramento, use a rocking chair-style anchor. 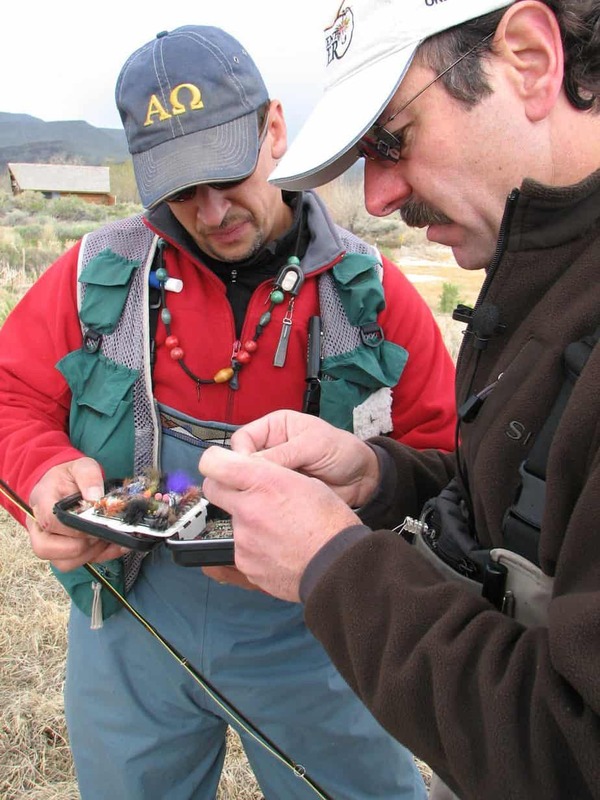 In fast water, with a rocky bottom, use a hook with narrow sharp points that find crevices in the bottom. In big water with a sandy, silted or muddy bottom, opt for a flapper-style anchor. 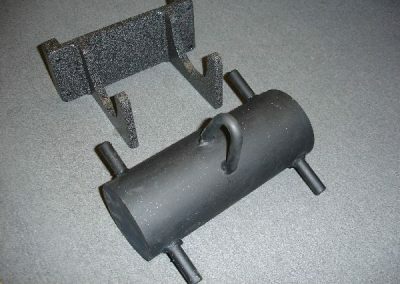 One good choice is the Breakaway anchor from Fish Fighter Products (www.fishfighterproducts.com). 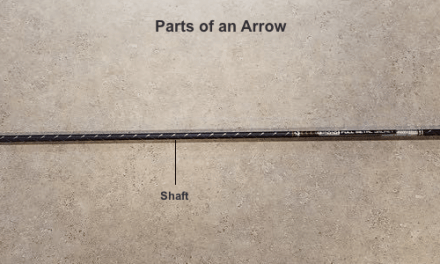 For clay bottoms, add the optional bolt-on anchor spades that act like shovel heads. Whatever anchor you choose, it should lay flat to work most efficiently. Iman uses the EZ Marine system with about eight feet of 3/8-inch chain that provides the weight to hold the anchor bar down on the bottom. 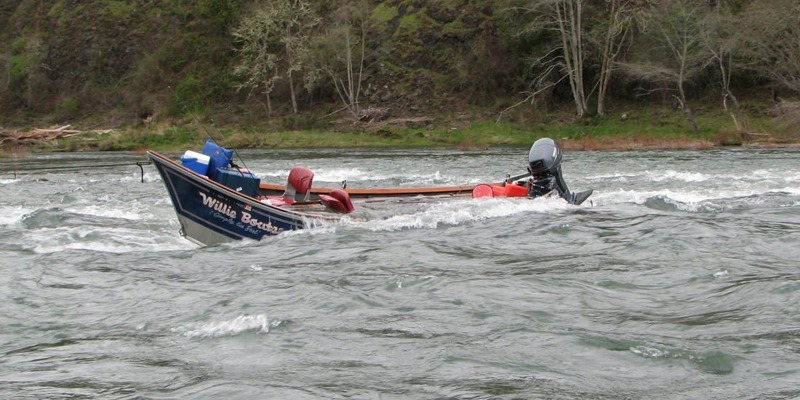 “On deep water on the Columbia in the spring, you need at least 300 feet of rope,” Iman said. 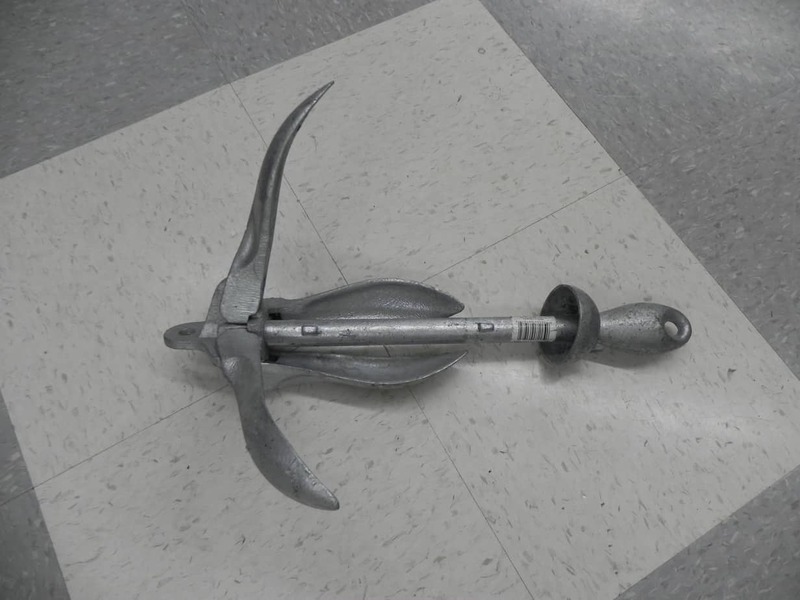 Run 250 feet from the anchor to the buoy and 50 feet from the buoy to the boat. In less than 50 feet of water run about 125 feet of anchor line and a 50-foot tag, which should be polypropylene so that it floats. The anchor will hold best as the line reaches close to horizontal, attached to a cleat on the bow, tied off with a slip knot. Larger boats and anchor systems need more flotation. 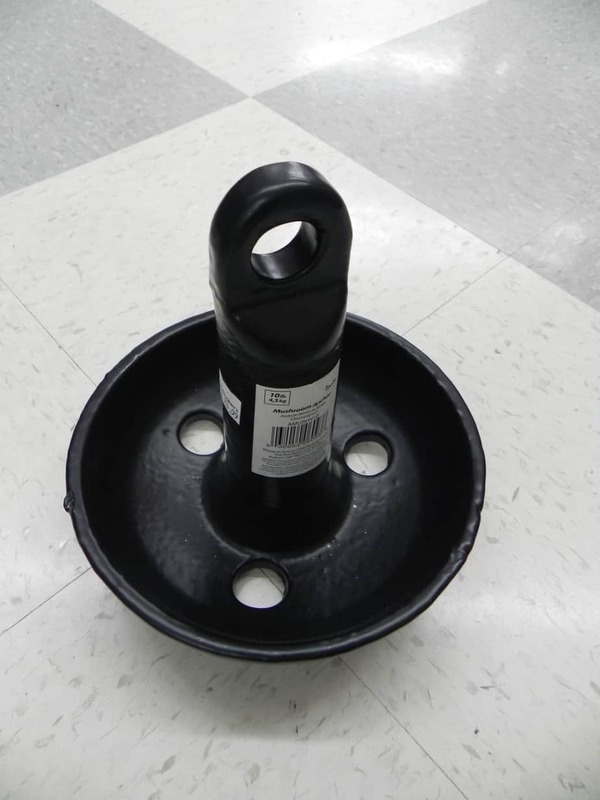 Use a 15-inch buoy, with 84 pounds of buoyancy for an anchor of 35 pounds or less. 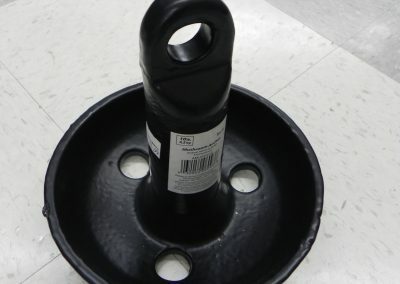 Select a large 18-inch buoy, with 135 pounds of buoyancy, for an anchor up to 100 pounds. Mount a sharp, fixed blade knife, in a sheath, within easy reach of the anchor line at the front of the boat and another one at the stern. And then climb into a life jacket each time you head into big water. “Every year you hear of people that capsize. A lot of bad things can happen and they’re all avoidable with a little bit of common sense,” Smith said. the boat. Drive at about 10 mph and watch until water starts going over the buoy. Keep pulling until you feel the anchor and see more water going over the buoy. Now, the anchor is caught by the puller and held there for the boater to retrieve. 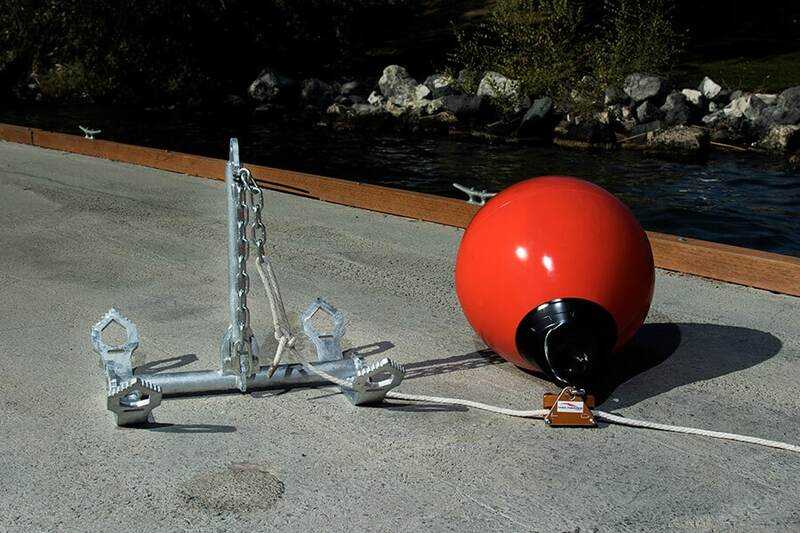 With the anchor held in place by the ball, tow it to open water. Now, bring the anchor line into a container or hold, coiled with extreme care so it doesn’t tangle on the next anchor set. 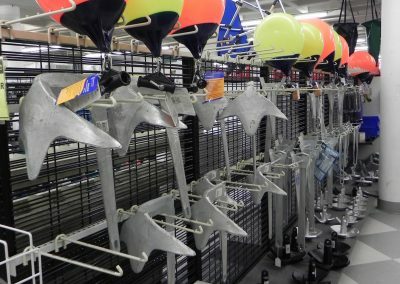 For anchoring a drift boat, Joe Koffler, of Koffler Boats (www.kofflerboats.com), recommends a three-sided lead pyramid or the hook he calls the Animal, a lead-filled pipe with steel prongs that stick in gravel bottoms and dig into rocky ledges. Every year there are new boaters on the water. The best thing a newcomer can do is learn from an expert. Hire a guide and watch how he sets the anchor and how he retrieves it several times during the day. 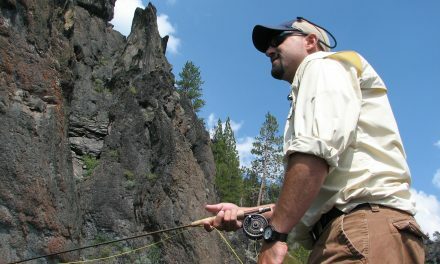 Another good resource is the 75-minute DVD Anchor Fishing for Salmon and Steelhead from Amato Books. 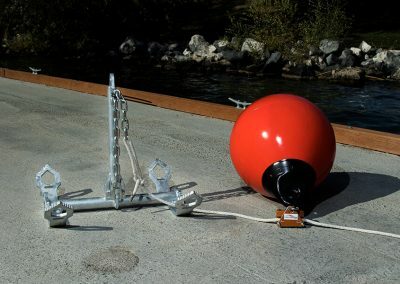 Hosts Eric Linde and Carmen Macdonald demonstrate how to assemble an anchor system then show how to safely set and pull anchor in a variety of situations. 1. Pick your spot. Drift with the current or run back under power to avoid catching the anchor line in the prop. 2. Drop anchor and buoy. Remember, you’re anchoring the buoy, not the boat. Set the buoy at about two boat lengths upstream from the bow. Let the rope feed out with tension on the line through the anchoring mechanism. 3. Drift into place. 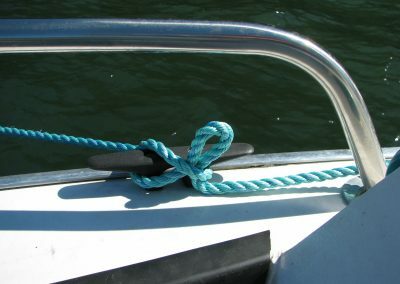 Take a half turn around a cleat on the bow, allowing rope to pay out as the boat drifts back. Tie off with turns around a cleat. 4. 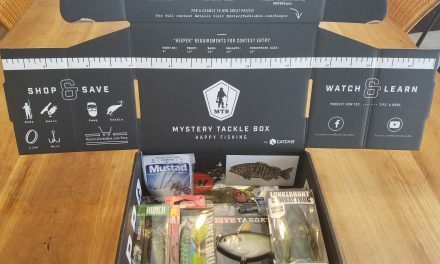 Leave the buoy to chase a fish. If there is 25 feet of line out to the buoy, there should be about 25 feet of tag line left in the bow. The rope should float. Tie on a crab float or a duck decoy to make pickup easier. 5. Retrieve the anchor. Swing 20 feet wide and pull the buoy sideways. Watch the rope go by the boat, not under the boat. Drive at about 10 mph and watch until water starts going over the buoy. 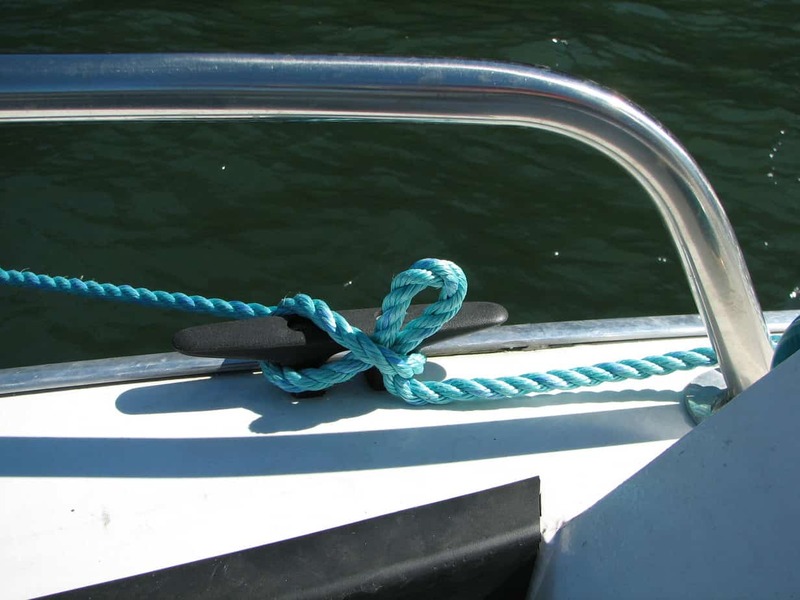 With the anchor held in place by the ball, tow it to open water, away from other boats. 6. Put it away right. Pour the rope hand over hand into a milk crate or bucket so there are no kinks or knots to cause problems on the next anchor drop. Stow the anchor in the bow. 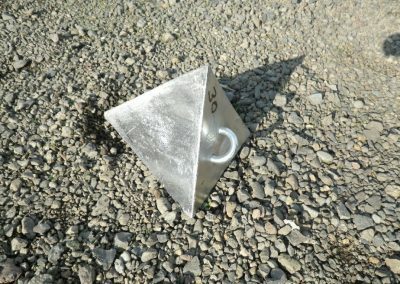 The ‘Animal’ is a popular drift boat anchor that is a good choice when fishing rivers with gravel bottoms and ledge habitat. Photo courtesy Joe Koffler. 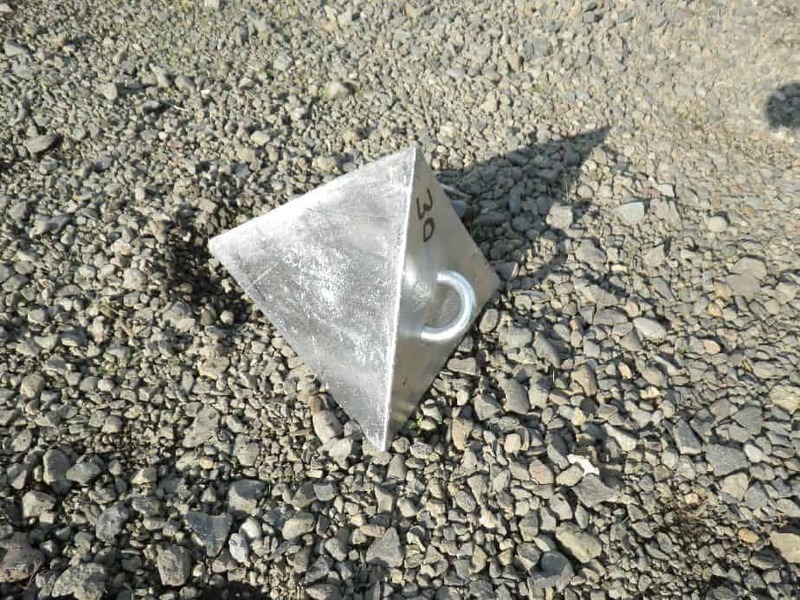 A rigid claw anchor is not the optimum design for weeds and grassy bottoms, but perform well in sandy or gravel bottoms and hold well during tide and wind changes. Photo by Gary Lewis. Mushroom-style anchors are good for holding boats in silty and sandy bottoms. 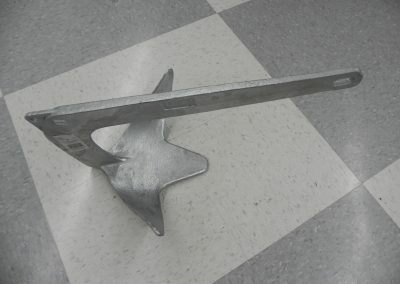 A pyramid-style anchor is well-suited for anchoring drift boats in ledge water and in runs with gravel bottoms. 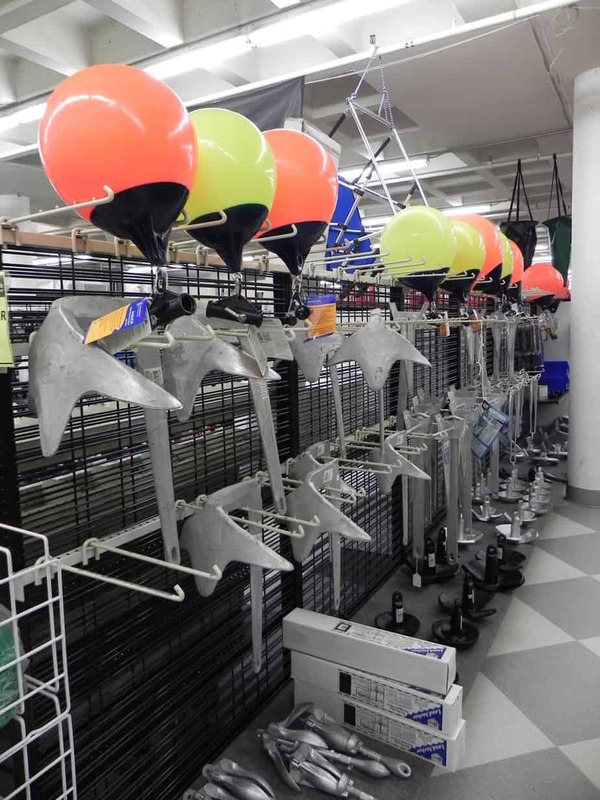 Swivel fluke anchors come in many different designs. In this four-fluke configuration, flukes swivel to find crevices in the bottom. The anchor will hold best as the line reaches close to horizontal, attached to a cleat on the bow, tied off with a slip knot. Photo by Gary Lewis.